When it was formally announced that Disney would be acquiring parts of 21st Century Fox, including the film studio and cable channels like FX, a lot of questions loomed large. Disney owns Marvel Studios, which creates superhero movies that take place in a single connected universe. Fox also creates its own superhero movies, that take place in a separate universe. Some of those movies are R-rated, some are connected to each other, and some are completely disconnected from everything else. How will this marriage work? Will films like X-Force that are currently in the works have a home under Disney? 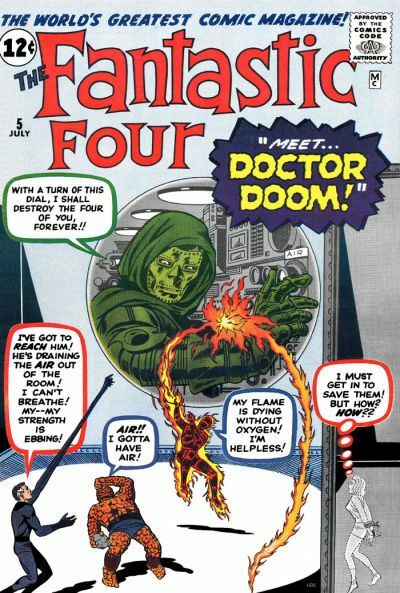 There are still a lot of questions unanswered, but one of the more intriguing projects that’s been in development at Fox is a Doctor Doom movie, to be written and possibly directed by Fargo and Legion creator Noah Hawley. We only first learned of the project last summer and Hawley has most recently been busy working on Legion Season 2, but now that Fox is coming under Disney, does this Doctor Doom movie still have a place? It’s likely Hawley’s position is not a unique one, and he’s right, the deal for Disney to acquire Fox won’t close for at least a year. Right now, as best we know, Fox is continuing to develop its properties as usual during this transition period, but there’s always the possibility a larger meeting happens in the next few months between Disney CEO Bob Iger, Marvel Studios president Kevin Feige, and the folks spearheading Fox’s superhero movies (including Simon Kinberg) that hashes out how they proceed from here.